Racism was a major issue in Canada during the beginning of the 20th century. People did not accept the people of other race. In 1914 a Japanese ship ‘Komagata Maru’ carrying 376 Indians was sent back to India without allowing people to deboard. Upon arrival in Kolkata they were greeted with bullets by British Indian Police, 20 people died in that tragedy. This is history, incumbent Prime Minister Justin Trudeau apologized in the House of Commons for the grieve mistake committed by the Government who held house in 1914. Clearly, Now Canada is the peaceful kingdom loved by everyone. 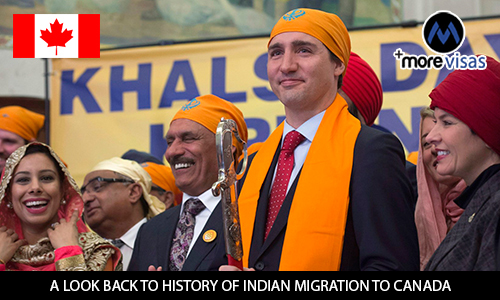 During his address he said that, had those Indians who were sent back to India were allowed into Canada, his country would have been more colorful and diverse. The incident took place 102 years ago; a commemorative plaque has been unveiled by Canada’s Defense Minister Harjit Singh Sajjan on August 7th 2016. He proudly explained that he is the representative of the Government and society which was deprived of basic living rights in Canada. The immigrants who took dangerous routes to enter Canada have paved way for the next generations to enter Canada safely. There was large scale discrimination in the early 20th century. The situation has changed completely now; it indicates the growing popularity of Indians and their influence in Canada. Indians in Canada are thriving; they are into all walks of life, business, education, and politics. They are well integrated with Canadian life, adding new color which had already accepted multiculturalism as its policy to welcome immigrants. Immigration is essential for the growth of developed economies and the maple leaf country has been successful in shaping them productive to their requirements.